. : Optics & Photonics Focus :: “Laser” in Gordon Gould’s notes :. 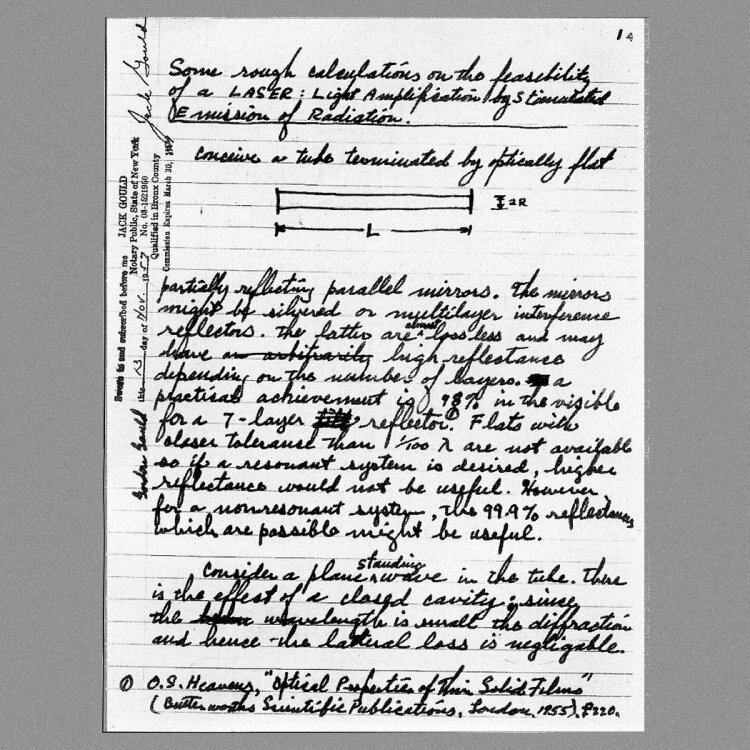 This famous page of Gordon Gould’s laboratory notebook records the laser working principle and acronym. It is dated November 13, 1957.